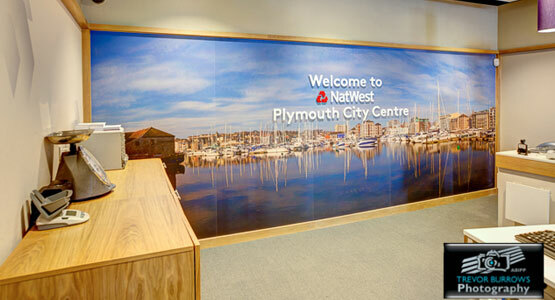 It was one of the largest national commissions for last year and the preceding year for NatWest/RBS to refit many of their branches nationwide with large panoramic images of the area. I was pleased to be commissioned to shoot and supply images in the Westcountry for this demanding project. Shot and then stitched together as large panoramics, some were made up from as many as 54 separate images! It required early starts and late finishes and that was even before the editing!! Great to see the finished results a few months later...smiley face! 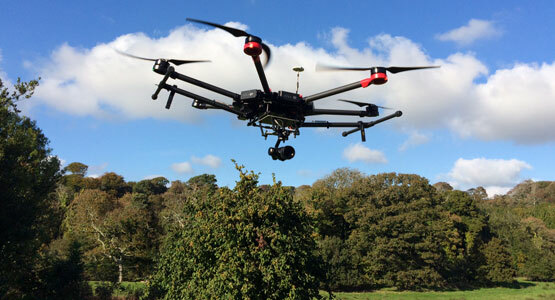 Whilst Trevor Burrows has offered for many years images of Plymouth and the surrounding area taken from on high from a helicopter, he can now offer a more down to earth drone service using a Matrice 600 professional UAV for stills or film via his partner company. Trevor says that certain types of commission are uneconomical for a helicopter or too low - most drone work has to be below 400ft. As a result this makes them ideal for land or property surveys, marina overviews, hotel exteriors, golf courses, film/tv, outdoor events and website intros. 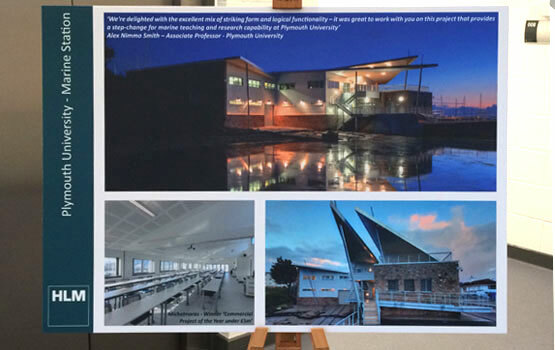 Delighted to have attended the HLM Architects Summer Party this year in the very building I photographed for an Award the previous year - the Plymouth University Marine Station at Cattedown in Plymouth. In fact the building won the prestigious Michelmores Property Awards for Commercial Property under £5 million 2015. Needless to say it was down to the photography!! 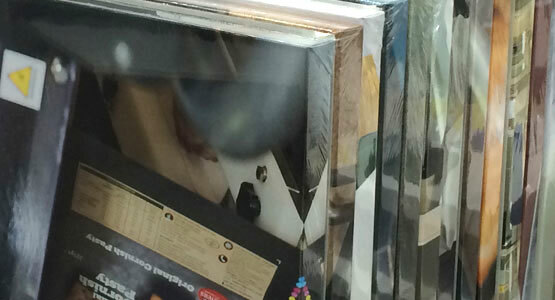 Fine Art repro requires attention to detail - literally - on all fronts. 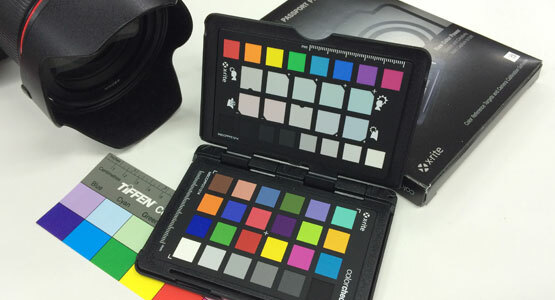 I'm delighted to say that Colour Checker Passport is used by myself in the studio and it allows me to offer an added layer of correctness when making Fine Art reproduction files no matter what the colour profile of choice. It allows calibration of my lighting with a file that is then added to Lightroom for final output. Always committed to best practice at Trevor Burrows Photography!